Bajaj Pulsar RS 200 Vs KTM RC 200 - Which Bike is Better? Since Bajaj Auto and KTM bike manufacturer of Austria have come together in a joint venture they have been manufacturing world class bikes for the Indian market. The synergy between the two manufacturers has opened up a whole new world of stylish, powerful and sporty bikes in different segments. Indian customers now have a choice to go in for a Bajaj or a KTM bike as both brands share after sales network, service facility and exclusive dealerships. If you have budget constraints then Bajaj and KTM bikes can be easily purchased by availing Bajaj Finance bike loan which comes at attractive and competitive interest rates with low cost EMIs. All you have to do is make a small down payment initially and rest of the loan can be repaid in the form of EMIs with a flexible tenure. The website www.bajajautofinance.com features bike loan EMI calculator which can be used to calculate interest rate and monthly EMIs according to your budget. The two popular bikes in 200 cc segment which you can consider buying from the above manufacturers are KTM RC 200 or Bajaj Pulsar RS 200. Below is the comparison between the two bikes which will give you a fair amount of idea about their performance and durability and you can then decide which bike you want to buy. 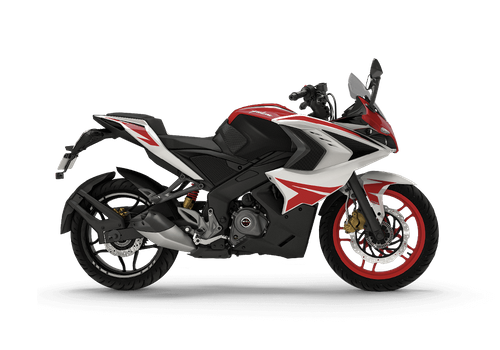 Pulsar RS200 produces 24.2 BHP and 18.6 Nm of torque. RS200 uses the same engine as KTM RC 200 but with DTS-i technology and different state of tune. The bike comes loaded with a lot of features like projector headlamps, ABS, and informative instrument console. Bajaj Pulsar RS200 is priced at INR 1.27 Lakh in India (Ex-Showroom). 2 Years or 30,000 km (whichever is earlier). 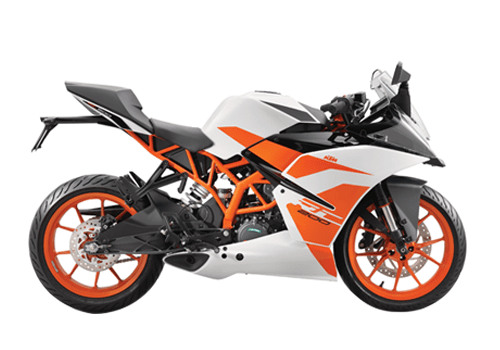 KTM RC 200 is an entry level sports bike equipped with a single channel unit and is available in two variants and two colors. The claimed mileage of KTM RC 200 is 30 kmpl.